This week, Philip Baldwin will be giving a talk from 6 to 7pm about gay rights and HIV activism. A graduate of both Oxford and Cambridge, Philip Baldwin is a gay rights activist and speaker. He was diagnosed as positive in 2010. 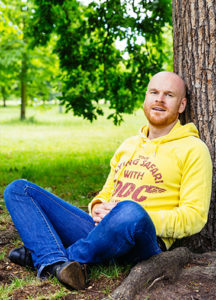 After a high profile career in finance and law in New York and London, Philip has channelled his energies and expertise into HIV and Hep C awareness and activists. He campaigns for Stonewall, the Albert Kennedy Trust, Positively UK and the UK Lesbian and Gay Immigration group. His columns in Gay Times and his HIV and gay rights blog in the Huffington Post constantly advocates for everyone to have the right to live with dignity, regardless of sexual orientation, gender, disability, age or creed. His semi-autobiographical novel about stigma, “Positive Damage”, is due for release later this year. The meeting will continue as normal after the break from around 7:15 until 8pm.